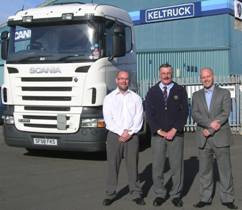 On Friday 22nd October 2010, Keltruck Ltd said good bye and good luck to a dear friend and colleague, Maurice Purdy. Maurice, who was the company’s Eastern Region Warranty Manager, worked for the company for 18 years, originally starting as a Warranty Administrator at Keltruck Lutterworth and Nottingham. Over the years, Maurice has built and maintained a very strong relationship with his colleagues and customers and is a credit to the organisation. Russ Warner, Keltruck’s Aftersales Director commented, “I called Maurice on Thursday to thank him personally for his help, support and dedication to Keltruck and wished health and happiness in his retirement”. He continued, “I know that he’ll miss working for Keltruck as much as we’ll miss him being part of the Aftersales Team”. Maurice’s customer base and responsibilities have been officially handed over to Paul Green, Keltruck’s Western Region Warranty Manager, now Group Warranty Manager. Paul commented, “It’s been a pleasure to know Maurice in both a personal & professional capacity. With a wealth of knowledge in his field, he will be missed. Thanks for all of your help and support during the past few years. Here’s to a long, healthy & happy retirement”. During his first week as a retired employee, Maurice will be whisking himself and his wife away to Holland for a 10 day holiday. 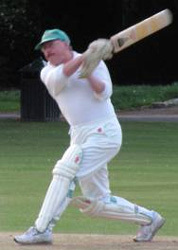 Maurice’s plans for the future are to continue helping towards to progression of his daughter’s Animal Rescue Centre and to pursue with his passionate hobby, cricket.